The summer onslaught has well and truly begun. Nike has shown their hand with the upcoming Mercurial versions, and now the three stripes has showcased what their biggest and brightest will be wearing during the European Championships. While one boot is merely receiving an extremely bright color update, adidas is also taking advantage of this time to launch the newest versions of their X and Messi boots. In the same vein as PURECONTROL, it’s now time to meet the PURECHAOS and the PUREAGILITY. 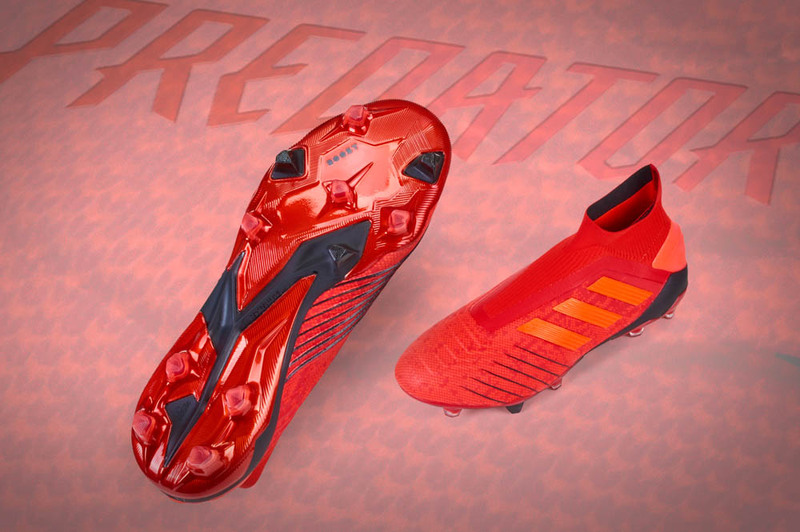 Adorning the feet of trophy seekers on every continent this summer, adidas isn’t pulling any punches. 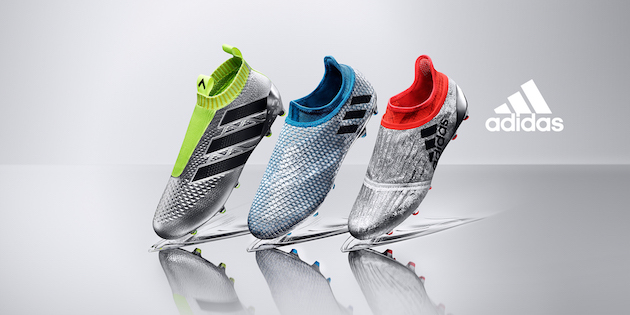 For the newest PURECONTROL, we see adidas giving a chrome-esque silver some extremely bright yellow accents. While the boot is not new to the world’s biggest stages, this colorway almost makes the boot feel brand new. Where every other version has been one solitary color (without counting the three stripes), the newest release has two colors that stand in stark contrast to each other. If you’re looking to still #bossthegame, then the PURECONTROL is going to be the silo for you. Where the other boots utilize synthetic uppers and adidas TechFit technology, the PURECONTROL is the German giant’s PrimeKnit masterpiece. It might not be getting its first shot this summer, but don’t expect the boot to fade underneath the floodlights. For the “chaos” side of the adidas campaign, the new X16+ PURECHAOS looks set to be the boot of choice for attackers attempting to leave defenses lying crumbled in their wake. TechFit makes a big-time reappearance on the silo, and helps create as 1-to-1 a fit as possible. Although pictures of the boots might make it look laceless, the laces actually sit underneath the bright “Mercury” upper and will allow those scared away by the possibility of an odd fit on the laceless PURECONTROL to customize the new X to their own sensibilities. We see the heel tab from the PrimeKnit 2.0 being added on to make sure that you avoid heel slippage and help aid in your ability to adjust the boot to your preferences. 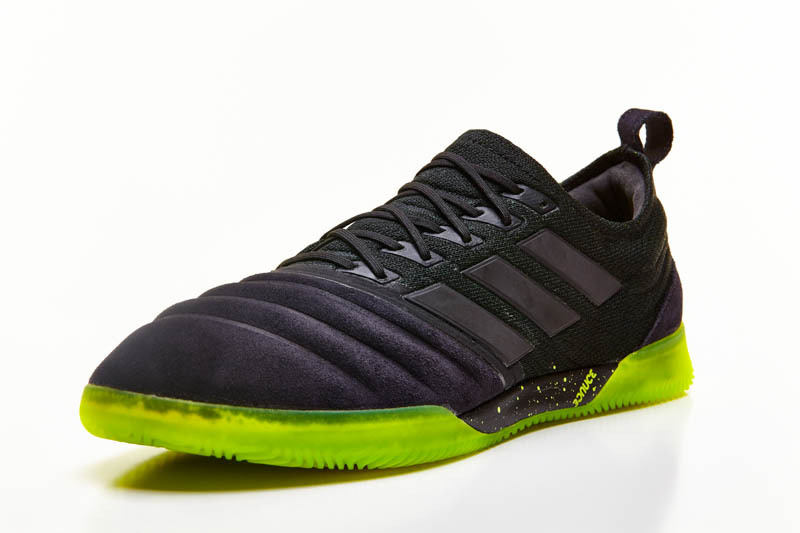 An updated soleplate also sits underneath, with a mish-mash of differently shaped studs…we’ll be anxious to see if adidas continues their FG/AG claim, but it seems like this boot could handle the transition well. The X16+ will certainly be easy to see from space with the bright “Mercury” upper and bright orange adorning all of the TechFit. It has also been made to appear to have slight streaks on the upper to give it a look of texture, and the now almost required addition of NSG (Non-Stop Grip) that is supposed to aid grip in all weather conditions. It’s certainly a boot befitting of the label for “Chaos,” but we do enjoy the look. Factor in the 7 oz. 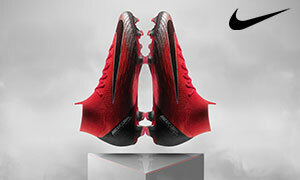 listed weight, and this boot will appeal to many players. If Chaos is your game, the tools of your trade have definitely arrived. 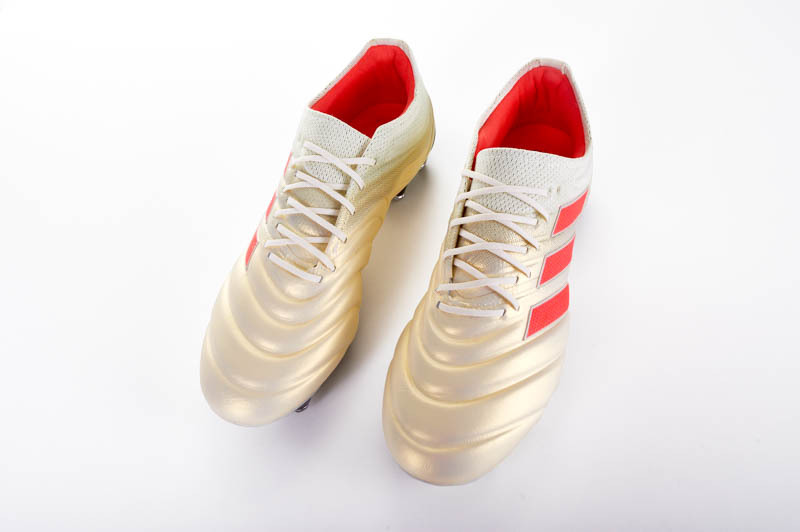 Not to let their shining star enter into the summer devoid of a new boot, adidas has also launched the Messi 16+ PUREAGILITY for the living legend himself. Taking a few cues from the X16+, the new Messi 16+ isn’t truly laceless, but boasts an incredible fit and 1-to-1 feel that is befitting of someone as talented as the Argentinian maestro. With a TechFit styled lining and sleeve to create the perfect fit, we see the differences to the PURECHAOS start at the heel as the tab doesn’t sit nearly as high as the X16+. The synthetic that sits on top of the TechFit is also a different composition, and adidas has labeled it their AGILITYKNIT. With that name, we’re thinking this must be a combo of the synthetic we see on the new X and PrimeKnit. With our very vocal love of PrimeKnit, we’re very anxious to see if these moves take what was one of the weakest outings of the initial revolution and crafts a winner. 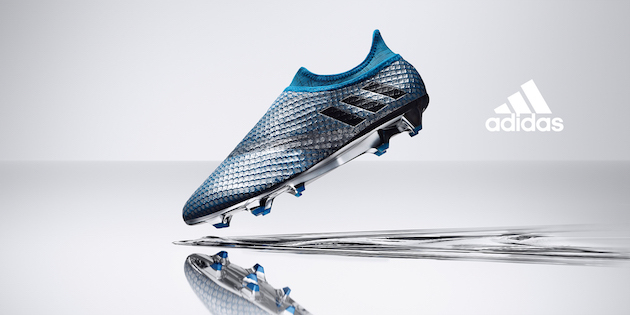 The same bright silver upper sits on the PUREAGILITY, but it’s tinged with blue across the entirety of the upper and the blue TechFit towards the back of the boot make sure to give all three boots a very unique look despite all having similar ideology behind their constructions. A soleplate of triangular studs in the same blue we see on the upper, and you’ve got a boot that will make Messi shine all the brighter (a difficult feat to achieve!). If it’s good enough for Messi, it’s certainly good enough for us. As the summer draws ever closer, it seems that adidas has latched firmly on to the rising temperatures. Their new “Mercury” Pack reminds us of how the adidas revolution began and continues to show that the Three Stripes aren’t afraid to take major risks in pursuit of becoming the top dog in world football. Which boot looks perfect for you? The game-bossing of the PURECONTROL? The chaos-inducing fear of the PURECHAOS? Or the magisterial Messi magic of the PUREAGILITY? If you’re like us and having a bit of a hard time, then you might as well snag all three! Bring on the summer!